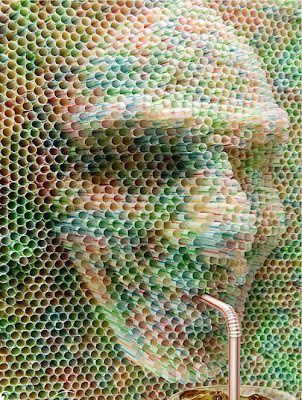 Publicis's Nestea Drinking Straw Sculpture: Created by Publicis Argentina for Nestea. It was part of the advertising campaign with slogan "Eres lo que tomas," or "You are what you drink." 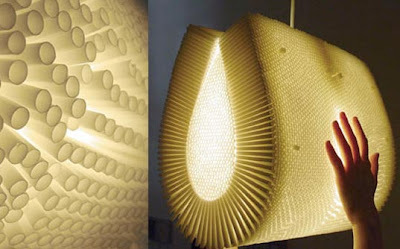 Alesina's 1000 & 1 Straw Lamp: Created using 1000 drinking straws, arranged around an inverted soda bottle. 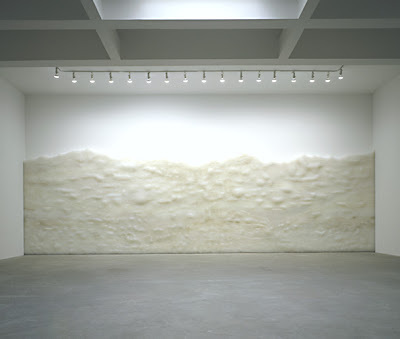 Looks beautiful. 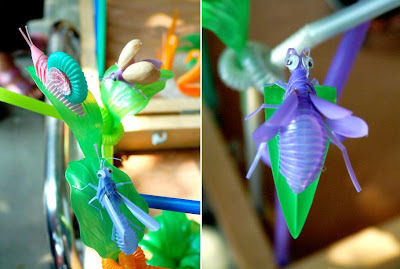 Annie Varnot's Drinking Straw Sculptures: Brooklyn based artist Annie Boyden Varnot creates these amazing sculptures using drinking straws. 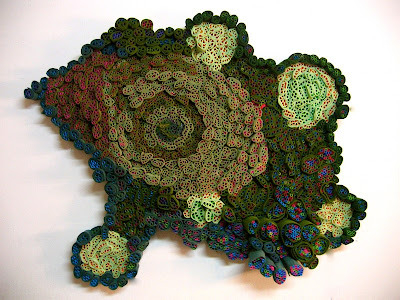 Leisa Rich's Installation: It took 7,000 drinking straws, 300 yards of felt and 15 months of work for Leisa Rich to create her innovative installation. 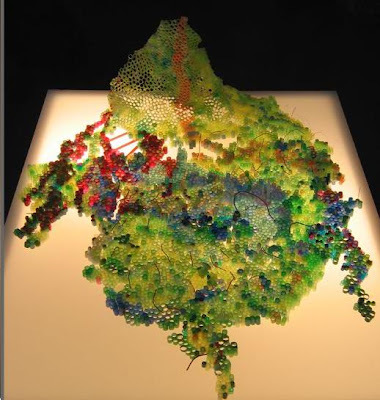 T Donovan's Drinking Straws Sculpture : T Donovan, a sculptor and installation artist, is known for her work with everyday manufactured materials such as Styrofoam cups, Scotch tape, and drinking straws to create large scale sculptures. 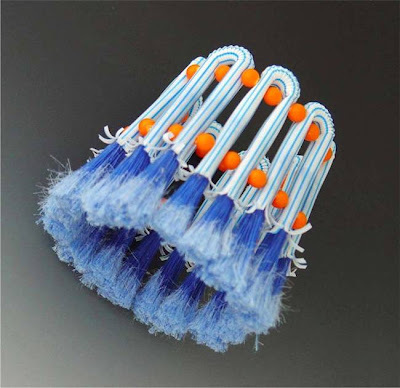 Promise Design's Straws Furniture: These beautiful pieces of furniture are made of drinking straws! 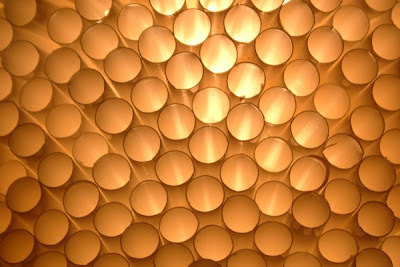 Padlab's Flexicomb Lamps: Creation of designer/architects D Gottlieb and P Herscovitch of Padlab, it consists of numerous drinking straws, packed into a honeycomb to make a beautiful pendant. 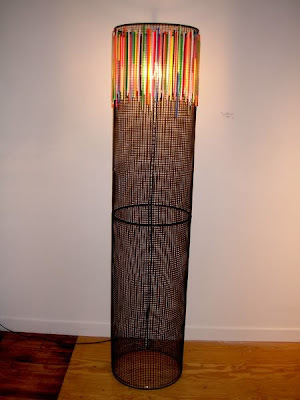 Drinking Straw Floor Lamp: A floor lamp decorated with multi-colored drinking straws! 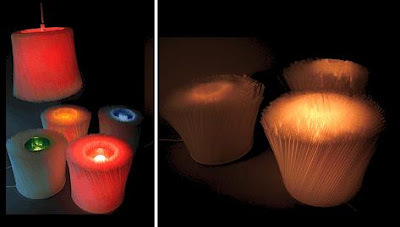 Drinking Straw Table Lamp: The concept behind this straw table lamp is quite interesting: to bring the light through the straws creating a beautiful effect. 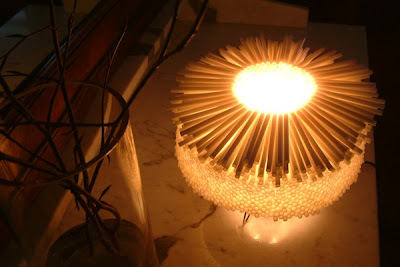 Straw Light Fixture: Impressive to look and quite simple to make. 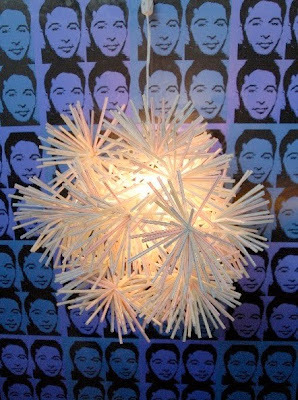 Drinking Straw Pendant Light: The contemporary drinking straw pendant light can be a great addition to a bedroom or even a recreation room. 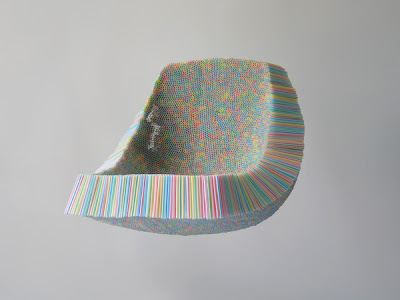 Clutch Chair: Designer Scott Jarvie designed this Clutch Chair using 10,000 drinking plastic straws. 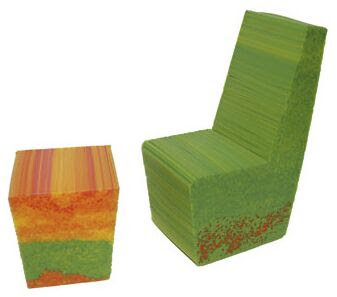 This chair is made entirely out of drinking straws. 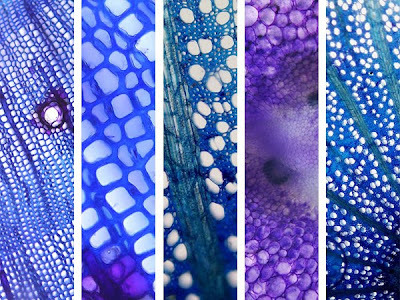 Clutch Light: Designer Scott Jarvie using the same materials created this Clutch Light. 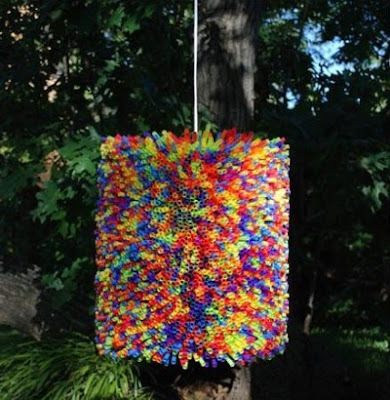 This beautiful lamp is made of hundreds of drinking straws. 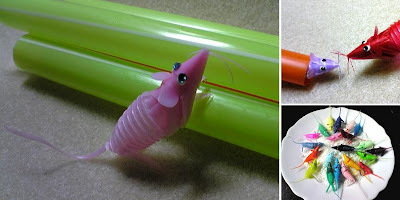 Horn From a Drinking Straw: How about making a cool horn out of a drinking straw?